The seed is mainly used in dietary products. 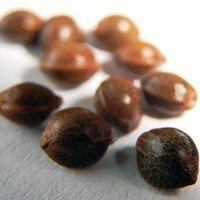 Hemp seeds are typically hulled and use in variety of ways. Seeds can be eaten raw, ground into a meal, made into milk, and is even used to make protein powder. Canada is the biggest producer of hemp seeds with over 84,000 acres licensed for cultivation in 2015. 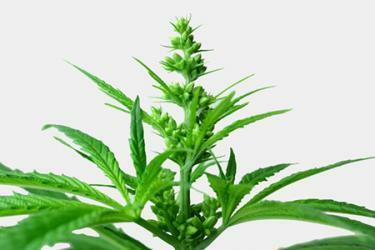 Most of the hemp strains grown in Canada are called Finola. Finola is known for producing the most amount of seeds, but they are very short so can’t be used for their stalk. 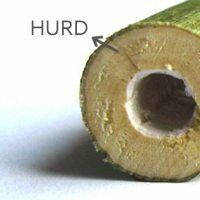 When you slice a hemp stalk in half, you’ll see, nestled in a snug hollow tube, a long, string-like band running the length inside. This is hemp’s famous bast fiber. 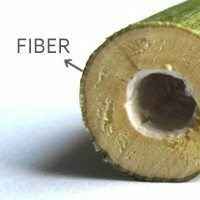 When harvested correctly, the fiber is actually stronger than steel. The stalk and its fiber are used mainly in clothing, construction materials, paper, and more. China is the world’s biggest producer of hemp stalks, with the government claiming the hemp industry to be over $200M. As untreated and unrefined chunks, it can be used in a wide variety of industrial and everyday products, such as cement, insulation and paper. As a form of pulp, it can be used to make biodegradable plastics that can be easily broken down and recycled. Out of its many applications, hemp concrete (hempcrete) has been gaining a lot of attention globally as a natural substitute to concrete. More houses in Europe and Canada are starting to be built in hempcrete due to its strong insulation, windproof, and low carbon footprint properties. In addition to hempcrete, hemp hurds are used for animal bedding, biodegradable garden mulch, paper, plastics, and insulation. Hemp is commonly misunderstood due to its association with marijuana. After being shunned for 40 years, why is hemp now in the spotlight?